Editor's note: Chancellor Emerita Vicki Lord Larson passed away on Jan. 31. 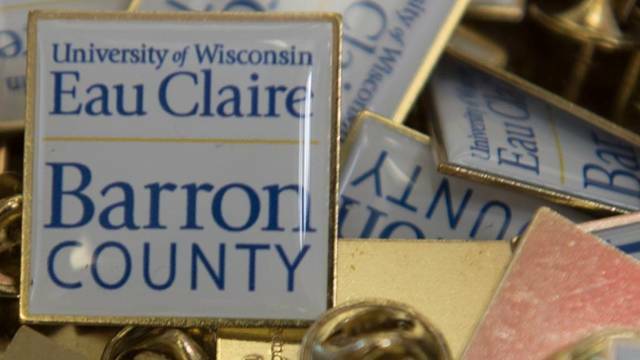 A facility housing important resources and services for students and educators at the University of Wisconsin-Eau Claire will be renamed in honor of a chancellor emerita and former faculty member and administrator known for distinguished service and generous support for the university. Vicki Lord Larson Hall will be the new name of UW-Eau Claire's Old Library following a renaming event at 2 p.m. Feb. 15. 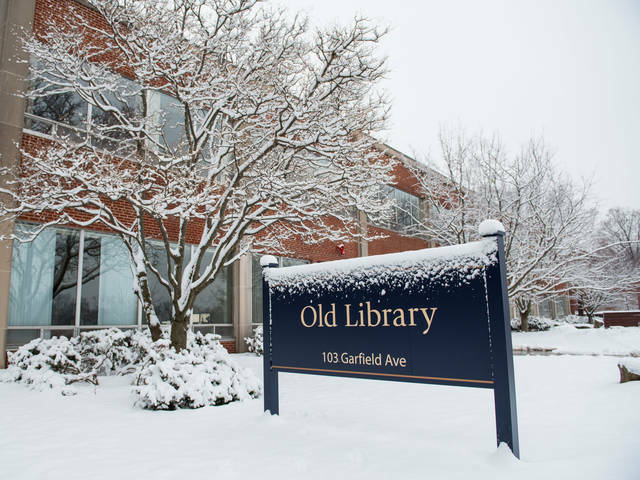 Old Library will officially become Vicki Lord Larson Hall during a renaming event at 2 p.m. Feb. 15 in the Blugold Central lobby (Room 1108) on the building’s first floor. Chancellor Emerita Vicki Lord Larson said she is humbled and honored that the facility will bear her name. "I am deeply humbled by this unexpected honor,” Chancellor Emerita Vicki Lord Larson said. “Over the years it has been a pleasure to work with exceptional UW-Eau Claire students, faculty and staff. I’ve especially appreciated the opportunity to support student scholarships and faculty-student collaborative research projects. UW-Eau Claire always strives to meet its goal of excellence." Dr. Vicki Lord Larson joined UW-Eau Claire’s faculty in 1973 as an assistant professor of communication disorders. She later became a professor and served as chair of the Department of Communication Disorders from 1978-83. In 1984 she was named assistant dean for Graduate Studies and in 1987 became assistant dean for Graduate Studies and University Research. In 1989 she was promoted to associate dean. In the 1980s she was instrumental in helping shape the university’s focus on faculty-undergraduate student collaborative research. In 1991 Dr. Vicki Lord Larson became dean of the School of Graduate Studies and Research at UW Oshkosh. In 1994 she was named acting provost and vice chancellor at UW Oshkosh and was named provost and vice chancellor in 1995. She retired from UW Oshkosh in 2000 as a professor emerita of communication. Dr. Vicki Lord Larson then served as a consultant to the UW System president from 2000-01, focusing on women’s leadership development. In 2000-01 she directed a rigorous analysis of the experiences of women students, faculty and staff in the UW System and co-authored a report that was accepted and endorsed by the UW System president and Board of Regents. The report’s recommendations created a blueprint for action to improve the status of women at UW System institutions. In 2005 she was named UW-Eau Claire’s interim chancellor, a role in which she served during the transition between former chancellors Donald Mash and Brian Levin-Stankevich. At the conclusion of her service she was designated Chancellor Emerita Vicki Lord Larson. In 2005 she received the Outstanding Achievement Award from Wisconsin Women in Higher Education Leadership. 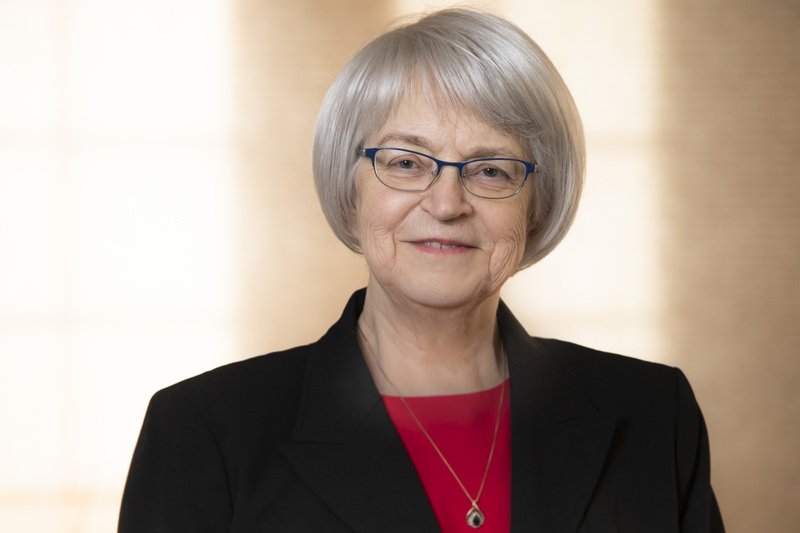 A founding member of WWHEL, Chancellor Emerita Vicki Lord Larson has supported the advancement of women and minorities in higher education in Wisconsin throughout her career. 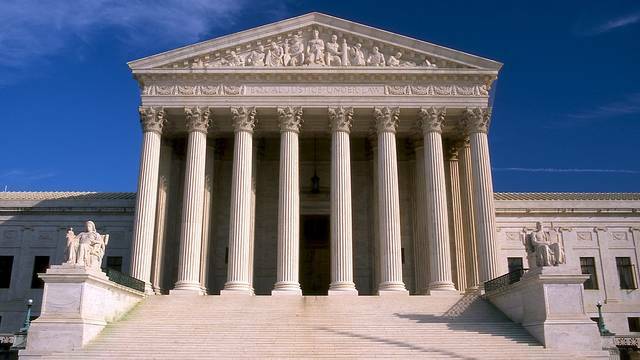 “From highly visible top-level leadership positions such as co-chair of the UW System Committee for the Study of the Status of Women, she has been a courageous role model, providing an improved climate and opportunities for women and underrepresented individuals to move into leadership positions in Wisconsin higher education,” Schmidt said. Chancellor Emerita Vicki Lord Larson has been active for many years in consulting and as a widely recognized expert in the field of communication sciences and disorders. In 1991 she was recognized for her scholarly activity on adolescents with language disorders when she was named an American Speech-Language-Hearing Association Fellow. In 2001 she became an acquisitions editor, and in 2004 an acquisitions manager, for Eau Claire-based Thinking Publications. She has written a number of books and worked for many years presenting workshops and classes around the country. Chancellor Emerita Vicki Lord Larson also has been a longtime and generous donor to the UW-Eau Claire Foundation, especially as a champion of collaborative undergraduate research. She was one of the first donors to create a faculty research fellowship in her former department. 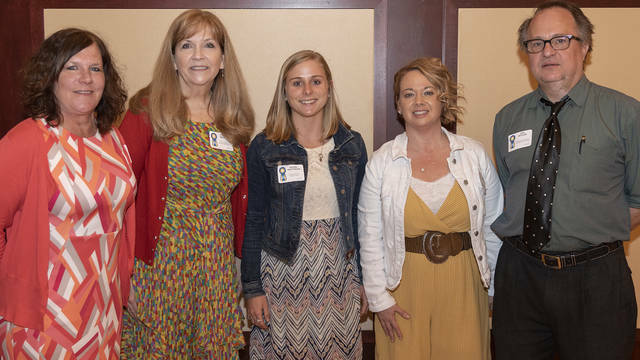 She currently sponsors several scholarship funds, which include a Blugold Promise Scholarship, a Local Blugold Scholarship and an outstanding undergraduate student research award. Recently she established a number of collaborative research awards that recognize both faculty and students who are engaging in collaborative research. Chancellor Emerita Vicki Lord Larson has made plans through her estate to endow all of her funds with a sizable bequest, Way said. One of the collaborative research funds supporting faculty and staff will provide an award for each college (two in Arts and Sciences) to support various research projects. Additionally, she is a former trustee of the UW-Eau Claire Foundation board. She is also a member of the Foundation’s Circle of Excellence and the Council Oak Society. Chancellor Emerita Vicki Lord Larson is a graduate of the University of Wisconsin-Madison. In 2006 she was named an honorary alumna of UW-Eau Claire.